Located in the Williamsburg community! 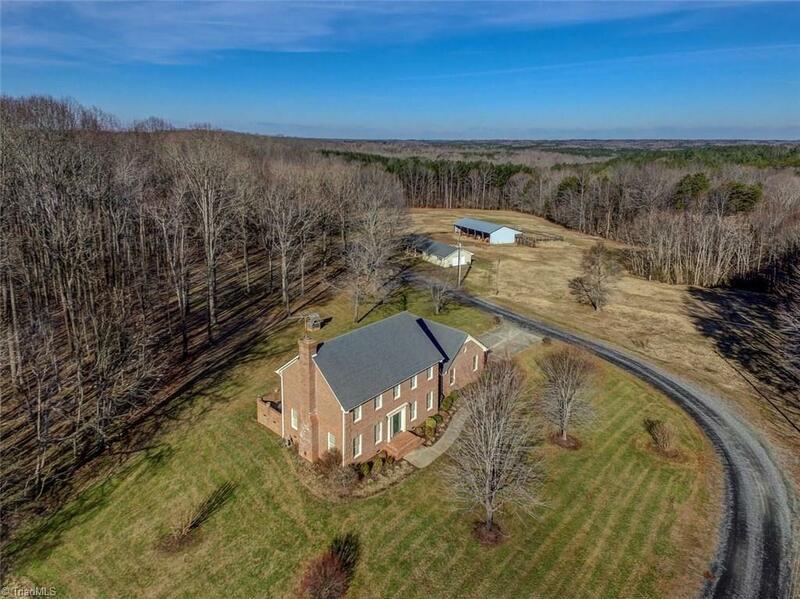 Beautiful custom 3BR, 3BA brick home w/brick patio, gleaming HWD floors, wood burning FP, double garage, detached 32X24 wired workshop w/covered porch area for family stew time, 34X32 equipment shed & 4+/- AC in pasture ALL situated on 11.163 AC! Within 25 minutes of Burlington, Danville & Greensboro! 100% financing programs available for qualified buyers! There is 2nd septic on property behind house, it is marked.